We believe all children should be given an equal chance in life to reach their potential. So They Can was founded in 2009 in response to the 2007 Kenyan election violence that saw more than 300,000 Kenyans internally displaced. The loss of lives, homes, employment and hope was immense. 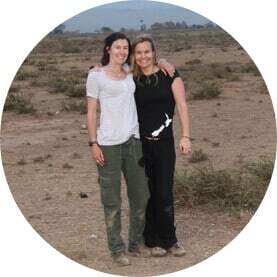 In response to this crisis, co-founders and friends, Cassandra Treadwell and Keri Chittenden, committed to provide support to an internally displaced persons camp of 6,700 Kenyans who were living in UNHCR tents on a block of land in Nakuru. Together with the Government and local community, So They Can was born to deliver on a direct request from this community: ‘We need a school for our children- an education is the only inheritance we can give them’. Existing primary schools lacked the capacity to provide quality education. Class sizes were between 60 to 200 children per teacher and one text book would be shared per class. A Memorandum of Understanding between the Kenyan Government and So They Can was signed. Outlining the Government’s commitment to fund teachers, water, electricity and roads and So They Can’s commitment to construct a school, provide much needed learning resources, teacher training and form part of the Board of Management. In 2010 the doors to Aberdare Ranges Primary School opened with the life-changing home for vulnerable and orphaned children, Miti Mingi Children’s Village, opening in 2012. Critical education needs of other communities could not be ignored. In 2011 we were introduced to the run-down rural primary schools in neighbouring Tanzania on a visit with So They Can Chairman, Peter Hunt. In 2012, a Memorandum of Understanding between the Tanzania Government and So They Can and local stakeholders was signed. This was the first public private partnership in teacher training in Tanzania, and the first education partnership with the joint objective to improve the quality of education throughout Tanzania. In conjunction with our government partners we founded the Mamire Teachers' Training College in Babati, committing to training quality teachers and improving the capacity of teachers in local schools. This approach has the key objective of improving the learning and teaching environment in the rural schools that form part of our Education Collaborative that spans both Tanzania and Kenya. In 2018 our Mamire Teachers' Training College ranked first out of 79 public and private Teacher Training Colleges across the whole of Tanzania. The Mamire Teachers’ Training College is now ranked number 1 in the country. 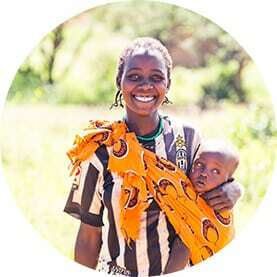 Our holistic approach has seen expansion in both Kenya and Tanzania, implementing education, women’s empowerment, community engagement, as well as child health and welfare projects enabling learning and the opportunity for communities' to break the poverty cycle. Ten years on and many lives have been positively transformed through our work in East Africa through the power of education. In 2009 So They Can is founded by Cassandra Treadwell and Keri Chittenden. 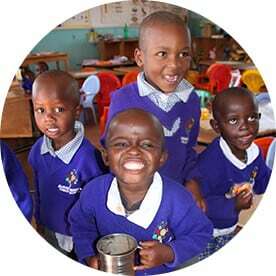 In 2010 the doors to Aberdare Ranges Primary School opened, in Kenya. In 2011 we were introduced to the critical education needs in rural Tanzania on a visit with So They Can Chairman, Peter Hunt. In 2012 we opened the life-changing home for vulnerable and orphaned children, Miti Mingi Village in Kenya. In 2012 , we signed a Memorandum of Understanding with the Tanzanian Government and local stakeholders for the first ever public private education partnership with the joint objective to improve the quality of education throughout Tanzania. 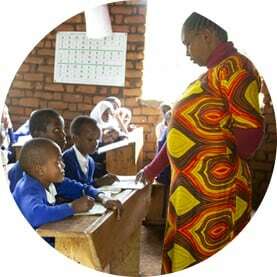 In 2012 we founded the Mamire Teachers' College in Babati, Tanzania committing to training quality teachers and improving the capacity of teachers in local schools. The Mamire Teachers’ College is now ranked number one out of all public and private colleagues in the country. In 2018 we started working with the remote, rural community of East Pokot, Kenya. We will see our programs continue to expand in both Kenya and Tanzania, focussing on education with the holistic support of our three enabler programs: child welfare, women’s empowerment, community health and engagement, providing learning and the opportunity for communities to break the poverty cycle. At the very core of So They Can is the belief that there is a deep connection between all human beings and that children, wherever they are born, should be given an equal chance in life to reach their potential. We work passionately and relentlessly to provide some of the poorest children in Africa with opportunity through education. We do this because we believe that education is the key to breaking the poverty cycle and that every child matters. Nurturing respectful relationships and working in partnership. The determination to take on the hard projects and stand for what we believe in. Delivering what we promise to make a real difference. 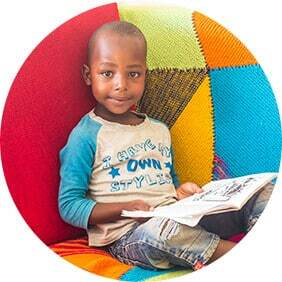 Being true to the African philosophy of ubuntu - I am because of you.